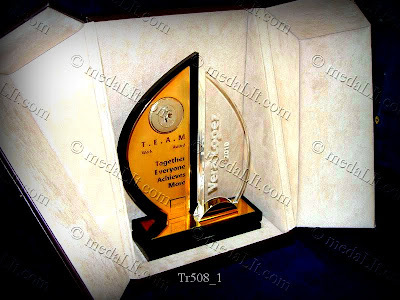 Gold-plated brass plaque, medals and acrylic plates are combined in harmony to form the trophy. Brass plaque is 1 mm in thickness. Acrylic plates thickness are 18, 15 or 10mm. Black double decked bevelled base (200 x 70 x 36 mm). Highlight Your Logo. 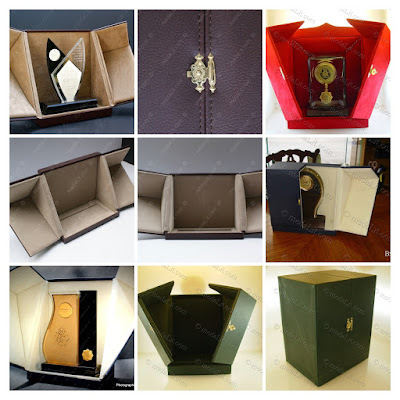 Custom-made luxury medal produced to fit is added. Custom-made medals' cost is included in the price. Unique and personalized. 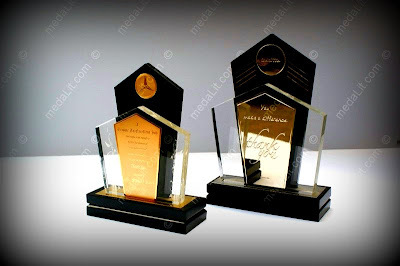 Your logo and message are designed in a special layout, acrylic plates can be either laser engraved or printed without extra cost, engraved Highlighted gold-plated brass plaques are characterized by a matte background engraved in recess and beautifully semi polished raised areas (your text and graphics in this case). The plaque is gold-plated as a whole. Consistent. Each model is available in 2 sizes.